While the past two months have featured several potential award contenders, there’s a surprising lack of prestige films on the November release slate. That’s not to say it’s completely devoid of Oscar bait, because “Spotlight,” “Carol” and “The Danish Girl” are all earning serious buzz, but this month is geared more towards high-profile fare like the new Bond movie and the final installment of the “Hunger Games” series. There’s almost too much to choose from this November, although that’s a nice problem to have. 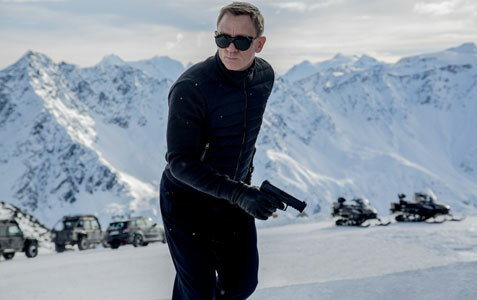 What: A cryptic message from Bond’s past sends him on a trail to uncover the truth behind the sinister organization known as SPECTRE. Why: Daniel Craig may not be doing the movie any favors with his series of controversial remarks during the publicity tour, but you’d be hard-pressed to find anyone who isn’t excited about “Spectre,” especially with the core creative team behind “Skyfall” all returning. Though it will be difficult to top the last installment in the long-running series, director Sam Mendes probably wouldn’t have signed on if he didn’t think it was possible. My only problem with “Spectre” is the casting of Christoph Waltz as the main villain, because while he’s perfect for the role, the actor has played the mustache-twirling bad guy so many times that it feels too obvious. What: The true story of how the Boston Globe uncovered the massive scandal of child molestation and cover-up within the local Catholic Archdiocese. Why: After delivering an uncharacteristic dud with “The Cobbler,” writer/director Tom McCarthy has seemingly bounced back with this investigative news drama, which gained serious Oscar buzz following its debut at the Toronto International Film Festival. The Academy loves movies based on true stories, especially ones as noteworthy as this, and the cast is overflowing with talent. Though Michael Keaton is hot off his Best Actor win for “Birdman,” early reviews have singled out Mark Ruffalo as the cast member most likely to earn a nomination come January. But regardless of what kind of presence it has at next year’s awards ceremony, “Spotlight” looks absolutely riveting. What: Set during the mid-1970s, a couple travels France together, lingering in a quiet, seaside town where they draw close to some of its more vibrant inhabitants. Why: Angelina Jolie’s latest directorial effort pairs the actress with husband Brad Pitt for the first time since they appeared together in 2005’s “Mr. and Mrs. Smith.” But while the Doug Liman-directed action comedy was a fizzy and fun twist on the spy and rom-com genres, “By the Sea” looks like a deadly serious affair. The trailer doesn’t offer much insight into what the movie is actually about, but it boasts some gorgeous cinematography and an intense confrontation between the two actors that suggests this isn’t the reunion that Brangelina fans were expecting. Whether or not that will affect its box office performance remains to be seen, but it certainly can’t help.